Live, love, laugh. The Village Club offers the perfect place to enjoy your leisure time. West Village Tower 2 by Tridel at 399 The West Mall in Toronto. This Master planned community includes 4 grand residential tower built around wonderful open green spaces and top notch amenities. 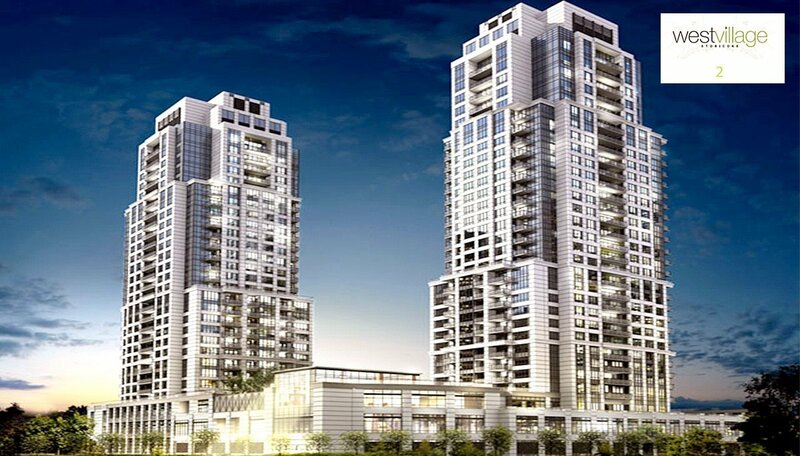 West Village Etobicoke is a new condo development by Tridel at 399 The West Mall in Toronto. This elegant development features one, two and two plus dens suites available for immediate, summer or fall occupancy. Pricing includes parking valued at $30,000. Connect with others over shared interests and forge new friendships in this welcoming Village. Or venture into the surrounding neighbourhood to visit the local market, meet friends at your favourite pub, screen the latest Hollywood release, get in a game of golf. Explore the nearby nature trails, or delve into your favourite sporting activity in the surrounding parks. Host a barbeque at sunset on a rooftop oasis. Mingle over cocktails in the Outdoor Lounge off the Party Room. Share a quiet moment with family in the glimmering fireside TV Lounge. Head to the and Swimming Pool, and work off the kinks from the day. Great shopping, the subway and the ease of Highways 427 and 401 are just minutes away.From West Village you can go anywhere. Then again, with so much to offer inside the Village, you may not want to go anywhere at all. Interior walls are primed and then painted with two coats of off-white, quality latex paint. Cultured white marble window sills, on all windows. Pre-wired telephone outlet in living room and bedroom(s). Cabinetry with single square edge granite or engineered quartz counter top. Vanity cabinetry with cast granite countertops complete with rectangular basin. Stacked front loading dryer and ENERGY STAR®, high efficiency, front loading washer. Ceiling light fixtures in foyer, hallway(s), walk-in closet(s), bedroom(s), and den. Premium plank laminate floating floor with acoustic underlay in foyer, hallways, dens, living and dining areas* and in selected kitchens. Ceramic floor tile in bathrooms, laundry and storage areas. 40oz. broadloom with underpad in bedrooms.